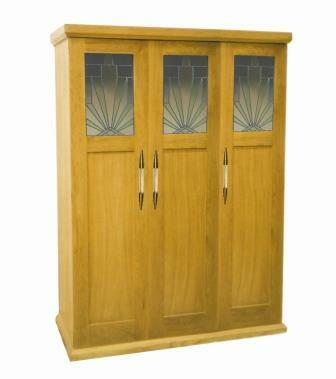 This is a showstopper piece of Deco furniture. Inspired by the 'Skyscraper' style this design is both stepped vertically and stepped back on the sides. 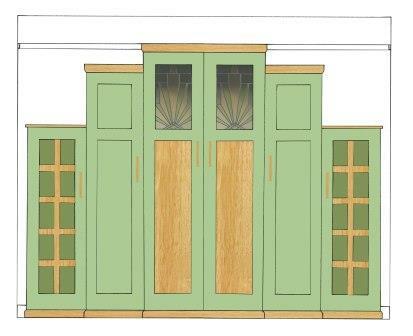 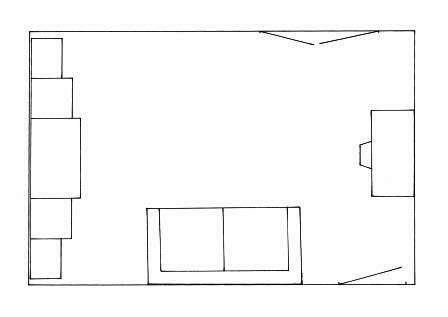 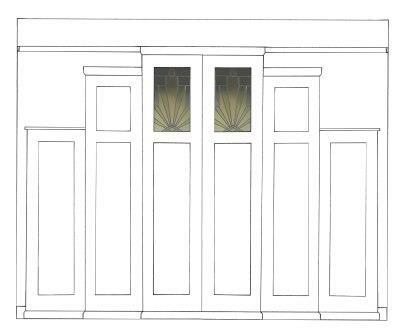 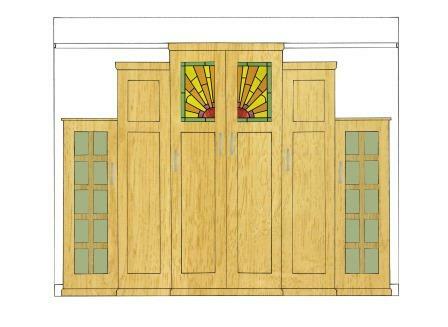 The plan clearly shows the the stepped nature of the piece, with shallow depth cupboards at either end. 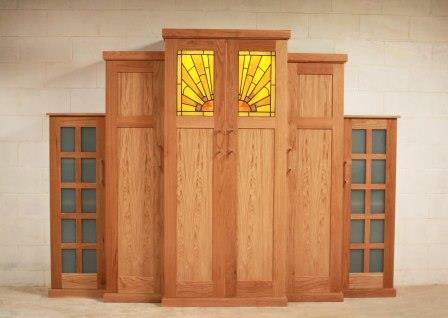 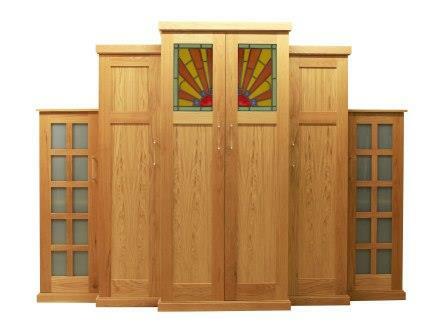 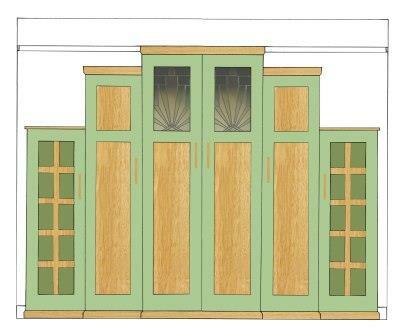 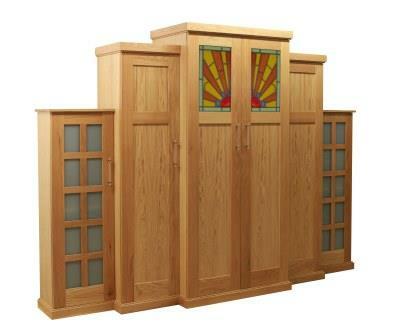 The use of stained glass decorative panels really lifts the whole piece to something special. The stained glass panel's design of a 'Rising Sun' motif introduces some lively colour to add a Jazzy touch to the overall look. 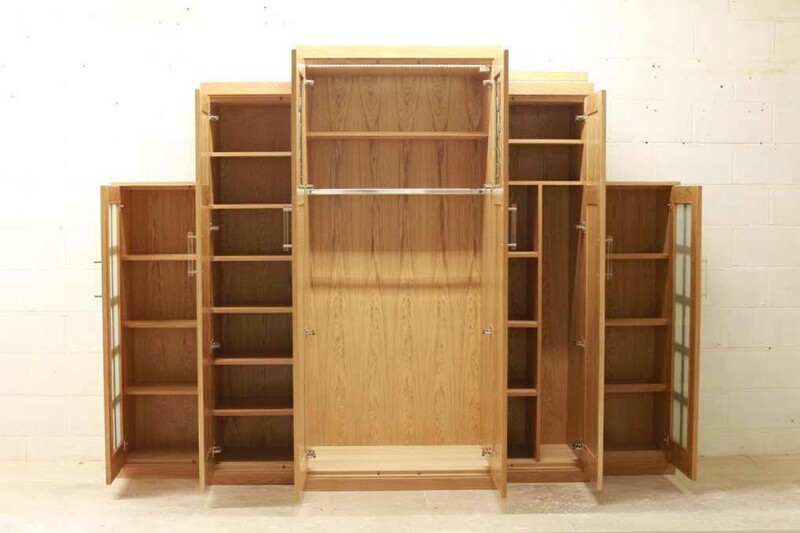 The robe was fitted out exactly to the customers' requirements, with a central wardrobe hanging rail to fixed & adjustable shelving. 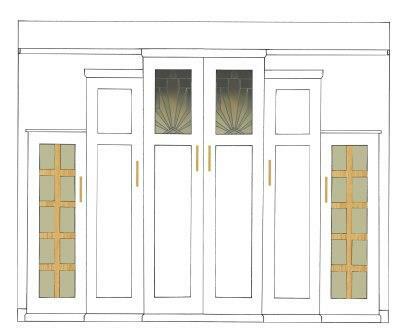 LED lights are fitted into the top of the inside of the central 2 door robe, to light up the stained glass panels in the evening for mood lighting, which will look stunning. 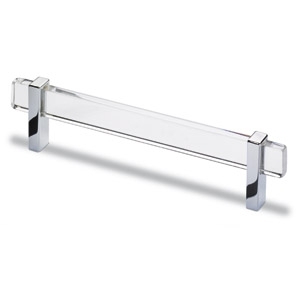 The handles, chosen to tie in with some new Deco wall lights in the room, are in chrome & clear acrylic. 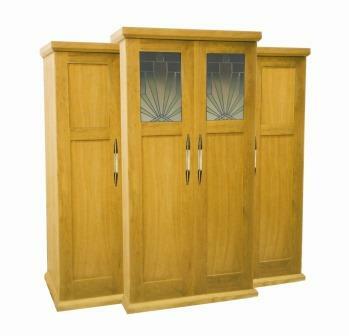 We originally looked at a range of finishes & colours for the robes before deciding on oak. 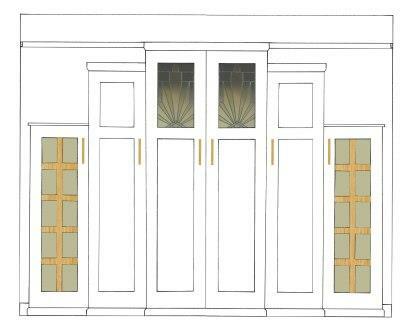 The lattice end doors were used to match a similar table base in the same room, and the etched glass was to match light fittings in the room. 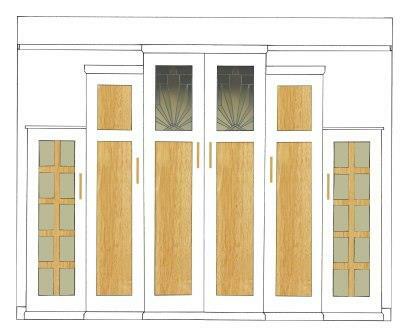 Shown below are some of those different colour & design variations we presented the customer with. Also, below left the robes are shown in the finished room, and the picture rail was treated to make the overall effect even more dramatic. 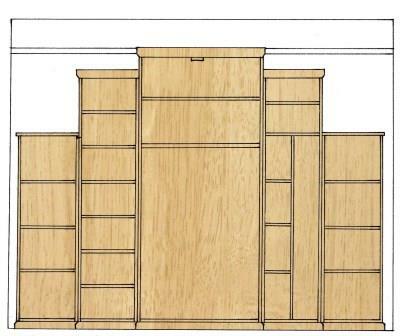 These 2 photos show work in progress on the wardrobe unit, you can really see it coming together. 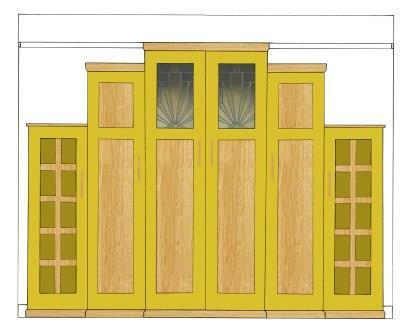 But now you can start to appreciate the wonderful architectural shape & presence it has.